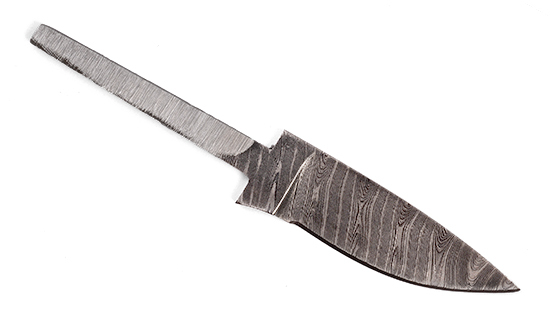 This Damascus blade is hand forged out of 1075 and 15N20 hi-carbon steel. It is heat treated, etched and polished. Tangs are welded on mild steel. Blades are made one at a time, so no two are alike.